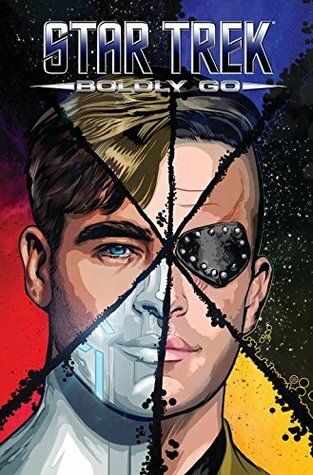 This graphic novel follows members of the “new” original series from alternate realities in multiple unexpected forms. For example, Kirk shows up as a plant in one reality and a woman (Jane Kirk) in another. The paths of characters from different realities intersect in different plots (e.g., plant Kirk might have been paired up with male Uhuro in a storyline). It was a little hard to follow sometimes, but interesting to see the characters in different forms. For fans of Star Trek. 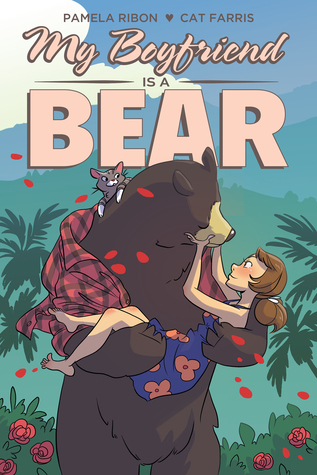 My Boyfriend is a Bear is a graphic novel about a young woman and a bear who fall in love. The bear says little more than “grah,” but they seem to be able to communicate. The relationship is no secret. The bear is the life of the party, drinking and playing Twister with the woman’s friends. Her parents are skeptical though (you can’t have kids with a bear). The story, complemented well by brightly colored drawings, elicited a range of emotions. It was hard to put down. Highly recommended, but not for kids. Young David spies 20-something Becky sketching a tree in a park. He strikes up a conversation and soon convinces her to give him a drawing lesson. Due to David’s persistence, one lesson leads to another and then another. Becky teaches him about shading, understanding light and shadow, using negative space, checking proportions, and creating a composition. In the end they go to the art museum where David combines all of his skills to draw Bertel Thorvaldsen’s sculpture Hebe, the goddess of youth. 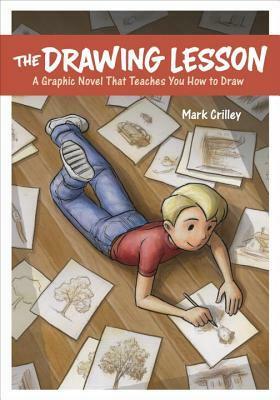 The Drawing Lesson is a fun and effective way through a visual story to help people develop the skills to see things as an artist does and draw what they see. 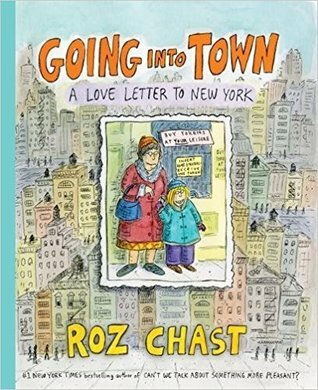 Going into Town: A Love Letter to New York started as a small booklet written by author Chast as a guide to Manhattan for her daughter who was moving there for college. On the first page though, she states, “it’s not really a guide book” because, for example, there’s nothing in it about the Statue of Liberty. She covers the basics, including the layout of Manhattan, from which I learned that avenues run north and south, while streets run east and west, and the distance between avenues is greater than the distance between streets. I also learned that Manhattan is 2.3 miles across, so you could plug in a toaster on one side of the island, run the cord along 14th Street, and have toast on the other side. Chast’s dry wit made me chuckle aloud several times. In addition to the layout of Manhattan, she covers the Subway system, the Met and other museums, parks, food, and apartments. I’m planning to go to New York over the summer and will probably check out this book again before I leave. Even if you’re not going there, it’s a fun, informative read. Comics · Fiction · Kelly M · Name in Title · Quick Read! The first half of the book is set in the 1960s as a female thief aided by Catwoman steals a rare book of maps from a man’s safe. The female thief grabs the book and escapes with a man in a car (who we find out later are Ra’s al Ghul and his daughter Talia). Feeling set up, Catwoman joins Batman and Robin to try to capture them. Batman flashes back to his childhood as young Bruce Wayne tries to stop thieves from stealing a similar rare book. As a boy he had been aided by Wonder Woman, who apparently never ages. The second half of the book is set in the 1970s. Batman has retired from crime fighting, but comes back to help Nightwing (formerly Robin) and Catwoman find Ra’s al Ghul and Talia, who have resurfaced after a decade on Paradise Island (home of Wonder Woman). Batgirl also becomes involved in the pursuit, but the writers erroneously refer to her as Batwoman (two different superheroes, people)! Interestingly, over the course of the comic, Catwoman takes on each of the forms of her 1960s Batman tv series actresses—Eartha Kitt, Lee Meriwether, and Julie Newmar—respectively. I enjoyed volume 1 and plan to pick up volume 2 when it’s available. 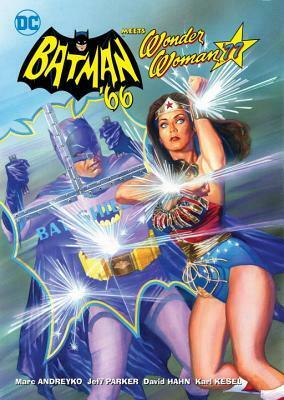 Recommended for fans of both classic Batman and Wonder Woman tv series. Comics · Fiction · Graphic Novel · Kelly M · Quick Read! 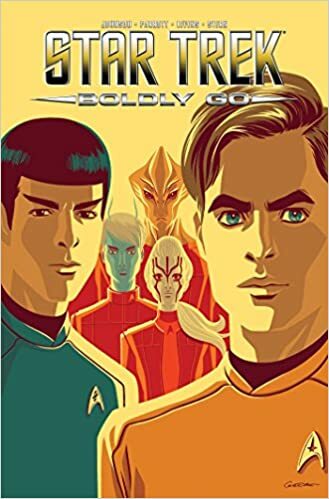 Star Trek: Boldly Go features characters from the new films (primarily Kirk, Spock, Uhura, Scotty, and Spock’s father, Sarek) along with those from the Starfleet Academy series, also written by Mike Johnson. It comprises four main stories in different settings—a peace conference focusing on the relationship between the Federation and Romulans; Spock and Uhura helping to rebuild new Vulcan; the mystery of the stolen captain’s chair from the Enterprise that is being repaired; and the search for a woman whose young daughter reports her lost. I enjoyed all of the stories, but the endings of the first two were a little disappointing. Fortunately, each story got better as it went along. Recommended to Star Trek fans of the original series and new films. 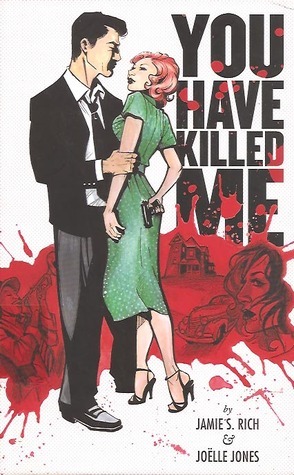 You Have Killed Me is the story of a detective hired to find his former girlfriend by her sister. Told from the point of view of the detective, the story was good, but it wasn’t long enough to fully develop the characters. I got the gist of what happened at the end, but to fully understand it I needed to go back to recall the characters. This would be better read in one sitting with characters and events fresh in one’s mind. The black and white art is amazing. I recommend it for a quick read for fans of detective fiction.